Rick was a southern Louisiana fan that had been out to see the fannish world up close. Having been at MIT during the early days of SpaceWar and LASFS in the mid 1960s he returned to New Orleans from time to time with tales of cons, clubs, and dreams of what might be. 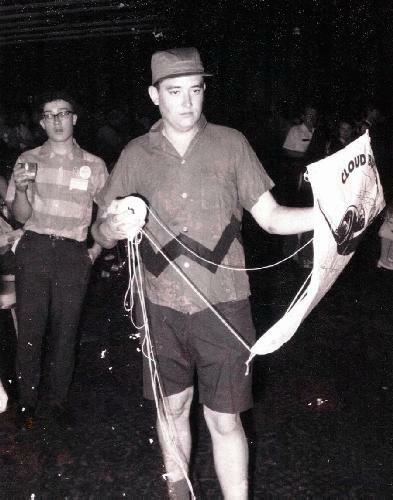 He joined with John Guidry in rounding up and organizing a group of established fen, neofen, and protofen into what was the late 1960s rebirth of active, organized fandom in New Orleans. He founded the APA George and founded and still runs Mountain Press. He edited two issues of Nolazine. He co-chaired DeepSouthCon 6 and DeepSouthCon 9. He was GoH at No Con in 1975 and at DeepSouthCon 56 (Concave 39) in 2018. He was a member of CAPA-alpha.